Robert van de Corput was born on 7th January 1988, in Breda, Netherlands. He is a music producer and a house and electro house DJ, who became famous under his stage name Hardwell, and being ranked number 1 in DJ Magazine’s top 100 twice, in 2013 and 2014, during a career now spanning more than 15 years. So just how rich is Hardwell? His net worth is estimated by sources at close to $23 million, being number 31 in the list of the richest electronic DJs. All his money has been made in the music industry, as according to Forbes magazine the DJ makes about $13 million a year, being number 11 in 2014 Forbes`s The World’s Highest-Paid DJs. Considered as popular as a rock star was a few years ago, Hardwell earns between $150,000 and $500,000 for a single night’s work. Besides the money earned from live shows, the DJ also has important income from music sales, licensing and endorsements. Since 2010, Hardwell has had his own record label,. The musician owns a $1.6 million house, in Breda, a town in The Netherlands. The 4,000 square feet home has 4 bedrooms, a large modern kitchen and a terrace. Robert began practicing as a DJ when only 13, and signed his first record deal a year later. He even spent three months in the Rock Academy, where he was advised by mentor Tiesto to start a music career. His debut came in 2006, when he made a remix of the Underdog Project’s “Summer Jam”. A year later he worked with DJ Greatski and together they made the track “Never Knew Love”, but became famous in 2009 for the mix “Show Me Love vs. Be”, and then in 2010 he started his own record label called Revealed Recordings, through which Hardwell launches an annual compilation album, “Hardwell presents Revealed”, which includes the most important tracks his label has launched during the year. In 2012, Hardwell performed on the stage of Tomorrowland, the biggest electronic music festival in the world, and in 2013 the DJ started his “I Am Hardwell” world tour. In 2014, he became the most watched DJ in the world, with more than 21 million views on YouTube. In fact, by 2015, his videos reached more than 60 million views on YouTube. In 2013, the artist had launched the documentary “I Am Hardwell”, a film which tells the story of Robert`s career and road to success. A second documentary, “I Am Hardwell – Living the Dream”, was released in 2015. Hardwell has had collaborations with R3hab, Sunnery James, Ryan Marciano, I-Fan, DJ Jeroenski, and Tiesto. 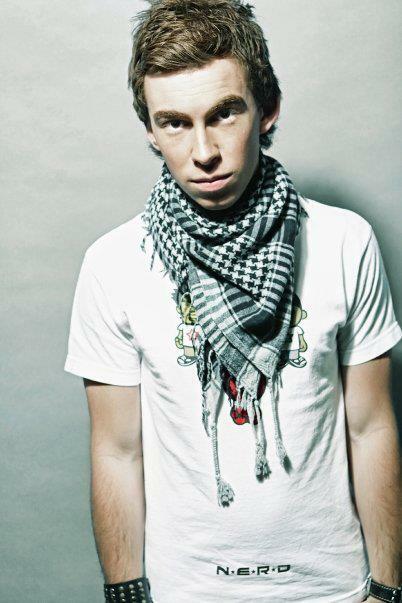 He has remixed numerous tracks, “Spaceman”, “How We Do”, “Call Me a Spaceman”, and “Everybody Is in the Place”, being among the most appreciated of Hardwell`s remixes. In 2015, the DJ released his first studio album, called “United We Are”. Harwell tours in the US, in Germany, Canada, Brazil, Belgium, and, at the end of 2015, he will arrive in India, where he is planning on setting the world record for the largest attendance at a solo DJ performance, having already invited over 100,000 persons to see his performance. The DJ is also active in the social media, with 2.4 million followers on Twitter and 2.5 million fans on Instagram. His Facebook page has more than 7.7 million likes. However, there are no media reports concerning his private life. Step Up All In 2014 performer: "Spaceman Carnage Festival Trap Remix"